For the next two years (2018-2020), GBSC will focus on three goals. We will strengthen existing relationships and seek to form new partnerships with constituents, other ministries, other educational organizations. We will offer our resources to meet needs in building God’s Kingdom around the world. We will seek increased quality in our operations and simultaneously develop new capacity to enable future growth. We will have increased positive impact on employees and students. 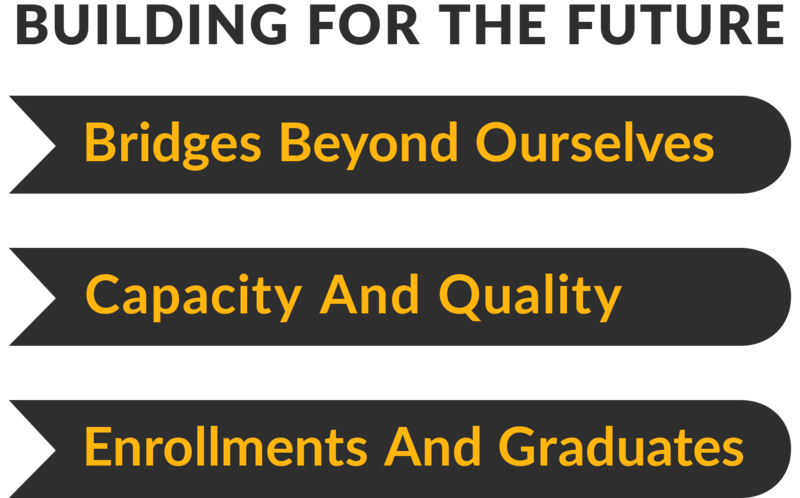 We will work to build enrollments in all areas (ACA, on campus, online undergraduate, graduate). We will simultaneously work to increase persistence and completion rates.